You made a great start! Love it! 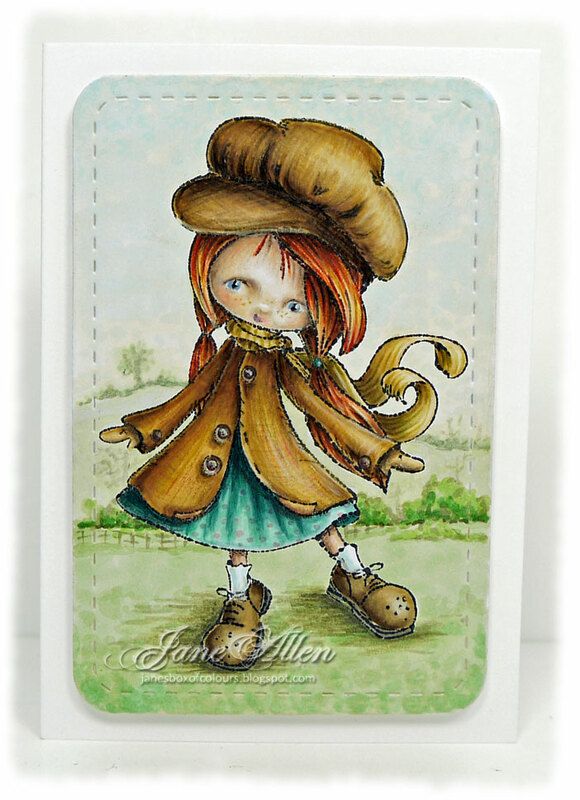 This is gorgeous Jane, such a sweet image and your colouring is totally stunning. Absolutely stunning. Good luck with the DT call. Stunning colouring as always Jane. Such a sweetie! Good luck on the DT call. Wow wow wow! I don't think I have ever been more enchanted by a coloured image, this is magnificent. I will wish you luck for the DT call but you don't need luck your art speaks for it's self, you've got this girl! Oh wow! I thought this was some of your pencil work. I can never get my Copic strokes that fine. Gorgeousness Jane! Hugs! Oh my Jane your colouring is just superb what a fabulous creation. Keep up with your beautiful creations I always love to to ponder over them all and get all the inspiration I can!! She is just beautiful! Wishing you the best of luck! Hi Jane! As I already said on FaceBook - your coloring of this image is spectacular! I don't even a slightest shade of doubt, that you will make it to the team, because you are so inspiring and talented! I'm looking forward with great excitement to each of your new posts. PS - thanks for the lovely comments you leave on my blog. I appreciate that! This is fabulous Jane. She looks as if she could leap from the page. Love the tweed effect. Wowee - your colouring is amazing (as usual! ), Jane! Congratulations, Jane on being named to the DT. Hi Jane fabulous job on your card. I have a question about the eyes do you free hand draw them in? The take the image up a total notch. I actually wished the stamps came with your eyes. Beautiful!